By Hongkiat Lim in Photography. Updated on November 10, 2017 . India is an incredible country having diverse culture, customs, and colors. Being the epitome of the world, India has become a must-to-visit place for every tourist. And thanks to its vast diversity, you must not have seen its every miracle. This is even true for an indian like me, and that’s why, I’m writing this post to showcase the best of my India. Come on, let me share with you 50+ most stunning photos of India — of its culture, heritage, people places, and much more. 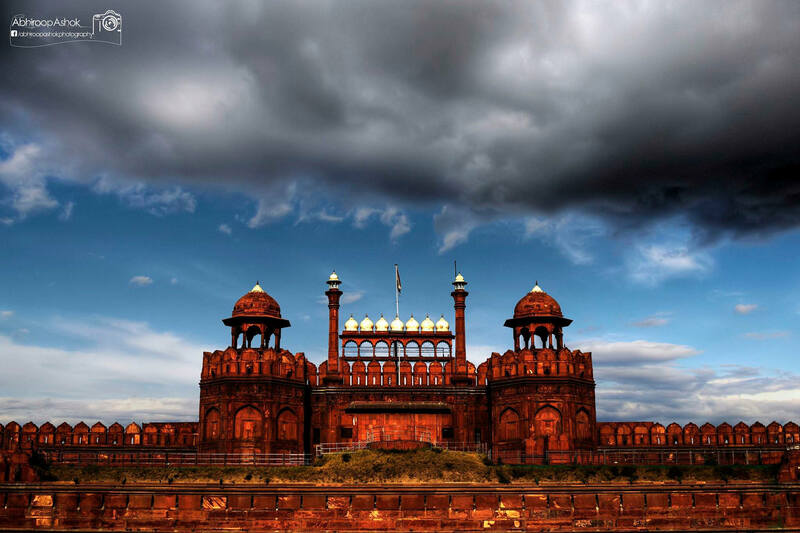 The Red Fort is an ancient fort located in the central part of Delhi, which used to be residence of Mughal emperors. The Prime Minister of India hoists the National Flag of India at the main gate of this fort on every Independence Day (15th August). 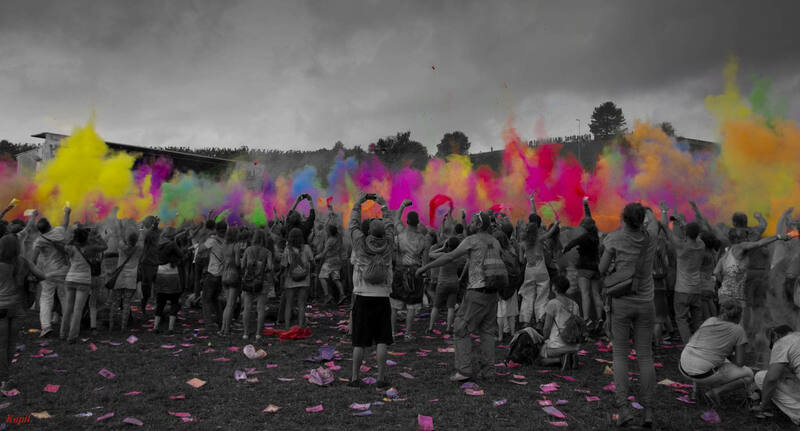 Holi or ‘Basanta Utsav’, also known as the ‘festival of colors’, is a widespread festival in India. Holi represents the victory of the good over the evil. This fascinating one-day festival is celebrated during the arrival of spring and lasts for a day. Diwali or Deepawali is also known as the ‘festival of lights‘. In spiritual terms, it signifies the victory of light over darkness, i. e., good over evil. 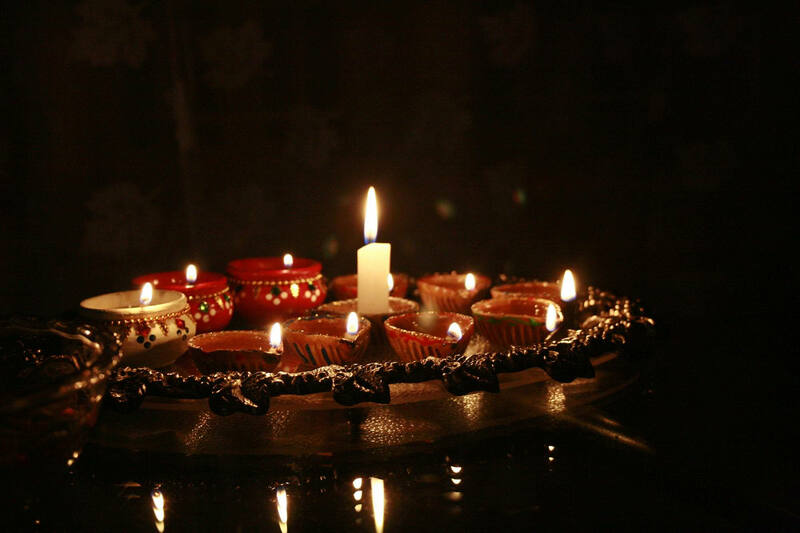 Diwali is celebrated by lighting ‘diyas’, and also lighting lights, sparkles, candles, and crackers. 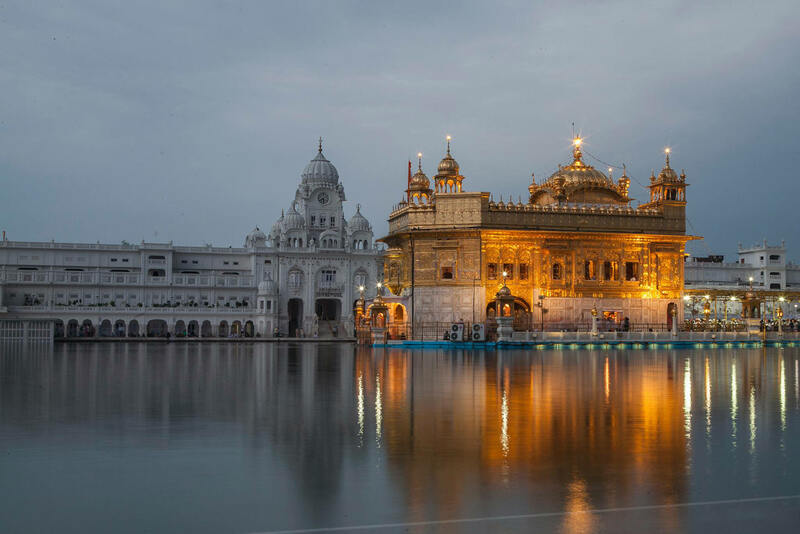 The Golden Temple, also referred to as “The Harmandir Sahib” meaning “the abode of God“, is considered as the holiest gurudwara of the Sikhs. Located in Amritsar (Punjab), this temple is covered by gold, and is visited by numerous pilgrims every day. Durga Puja, also referred to as Navaratri, is celebrated across the country. The festival commemorates the arrival of Goddess Durga on the Earth after executing Mahisasura (a devil), and is celebrated by offering her prayers and prasads. 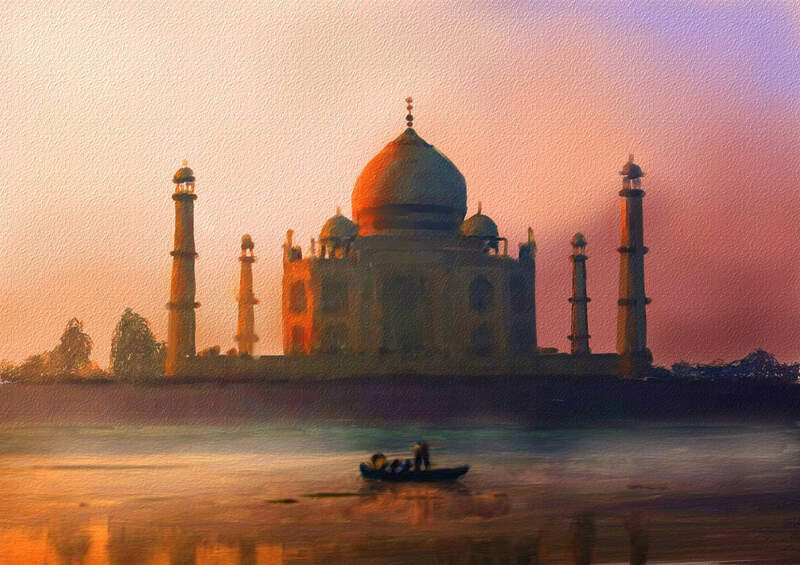 The Taj Mahal was built by Mughal Emperor, Shah Jahan, in love and remembrance of his wife Mumtaz Mahal. This ivory-white, marvelous marble tomb is situated on the southern bank of the river Yamuna in Agra, Uttar Pradesh. As I told above, the Taj Mahal in Agra is a symbol of love. And that being said, people in love always find the tomb as a place for wishing or celebrating their love. 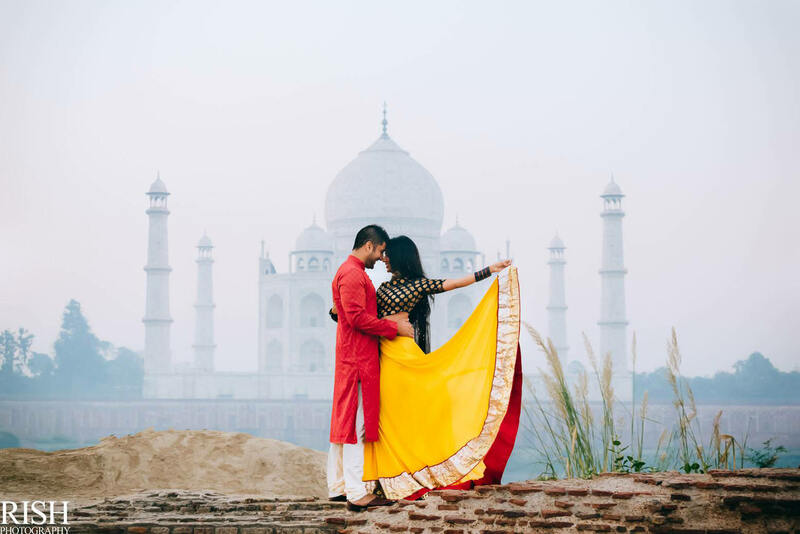 Couples, especially after marriage, visit the Taj Mahal for the same reason. 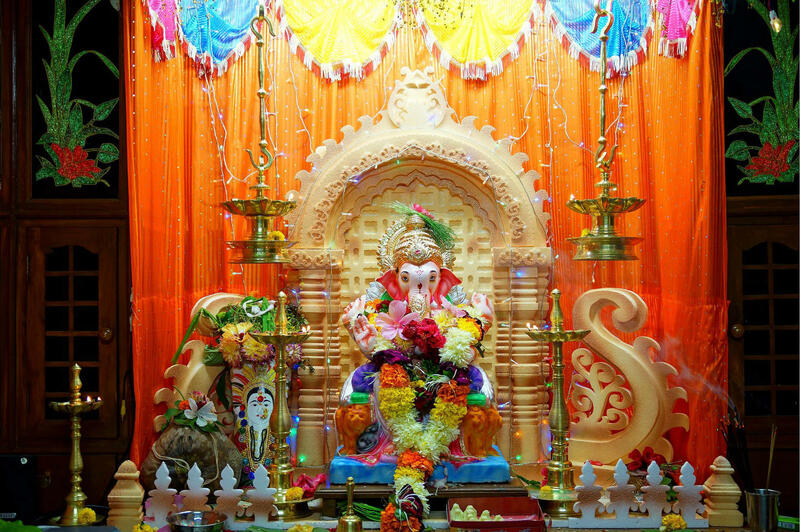 Ganesh Chaturthi is a festival where Lord Ganesha is worshipped with gale and joy in India, especially in Maharashtra. This festival starts with placement of Ganesha’s idols in homes and pandals, and ends with immersion of the idols in nearby water bodies. India comprises of the most traditional and cultural dance forms such as Bharatanatyam, Kathak, Kuchipudi, Kathakali, Bihu, Sattriya, Odissi, Mohiniyattam, etc. These dance forms, each varying in style and elements, represent different Indian states. 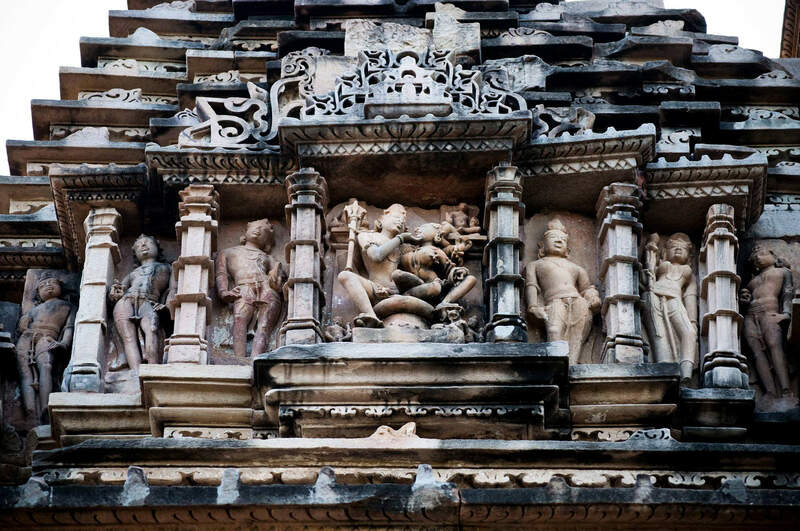 The sculptures at Khajuraho are known for their artistic excellence. The sculptures are considered as masterpieces of Buddhist religious art, and been crafted with the creative use of color and freedom of expression as they demonstrate love. 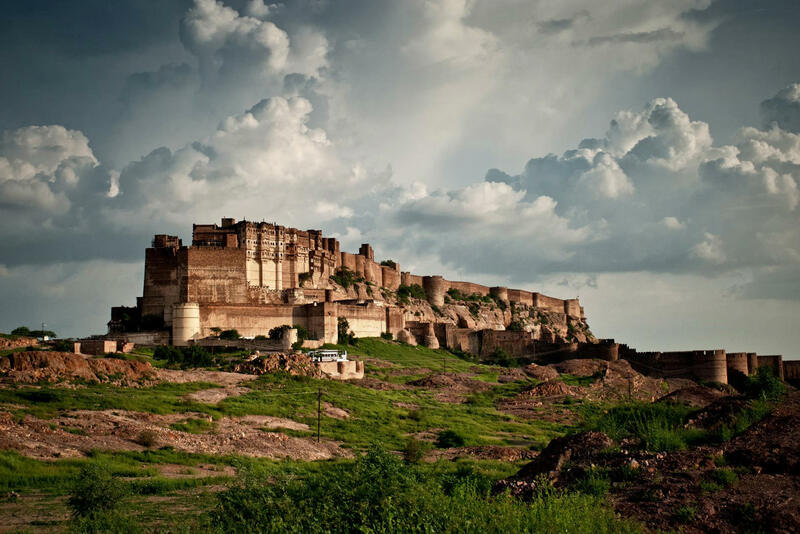 Mehran Fort in Jodhpur (Rajasthan) is one of the largest forts in India. Built around 1460, the fort is built 125 m above the city, and is known to enclose several palaces. The fort also hosts a museum, which exhibits the royal heritage of Rathore rulers. The Tiruchirapalli Rock Fort is a fort and a temple built on an ancient rock. The temple was built over 1 billion years ago, and it has witnessed several fierce battles. 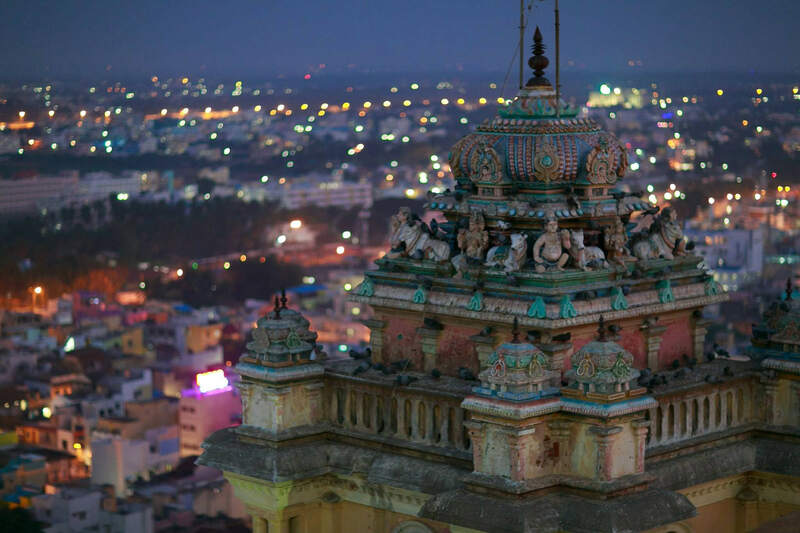 This temple is located in the Tiruchirappalli city of Tamil Nadu state. 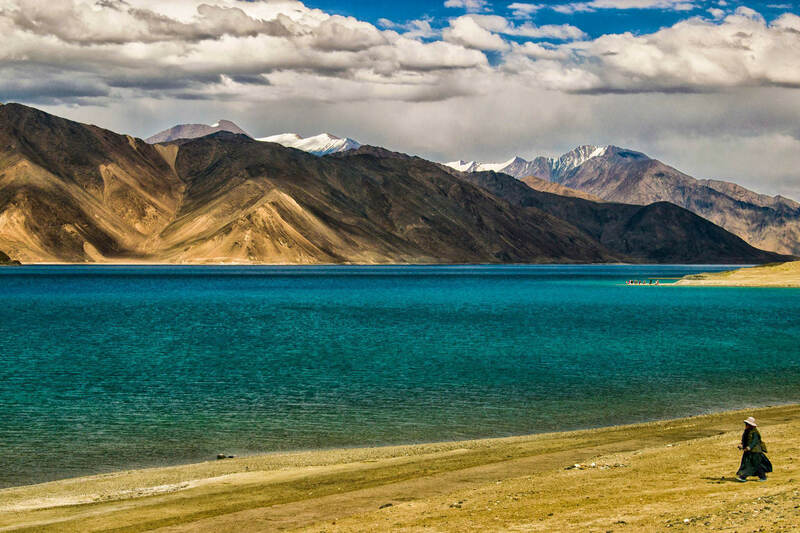 The Pangong Lake, originally known as ‘Pangong Tso’, extends from India to China and is situated at 4,350 m above sea level in the Himalayas. The blue water of the lake truly captivates attention, and is known for its timeless beauty. 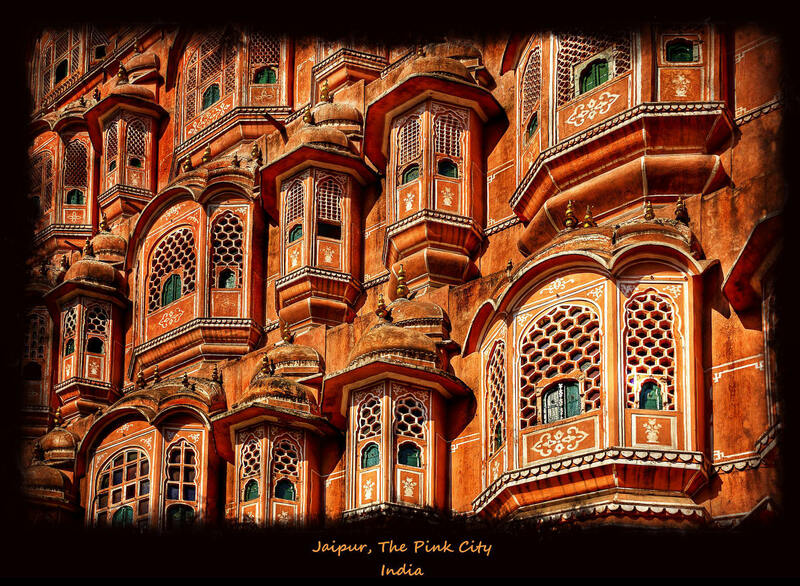 Jaipur is known as the ‘Pink City’ because its every historic building is painted in terracotta pink and it’s its signature color scheme. This color signifies the strategy of Maharaja to impress Prince Albert during his tour to India in 1876. 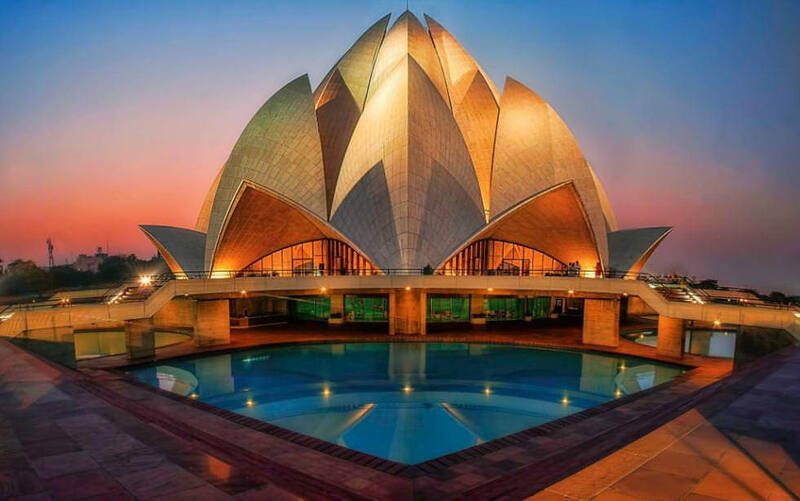 The Lotus Temple in Delhi is recognised for its architectural excellence and lotus-like shape. The building is made of 27 free-standing marble-clad indicating the petals. 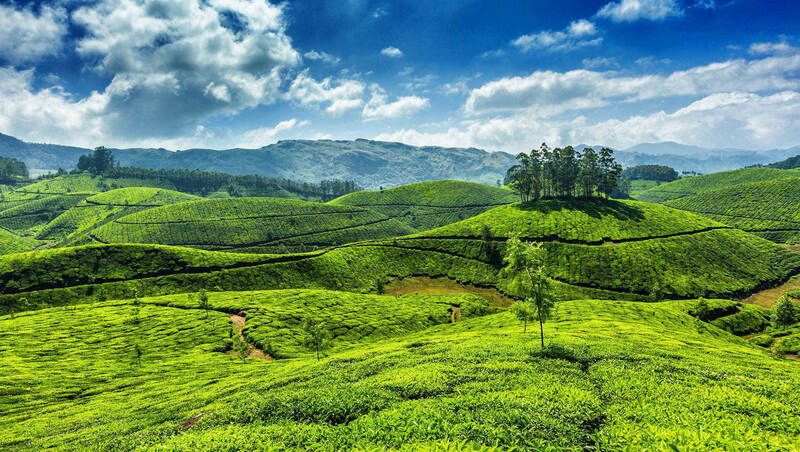 The Munnar Hills in Kerala are located 1600 m above sea level. It’s filled with tea plantations now, but it used to be a summer resort of the erstwhile British Government. You’ll be spellbound with the exotic flora and fauna of its surroundings. 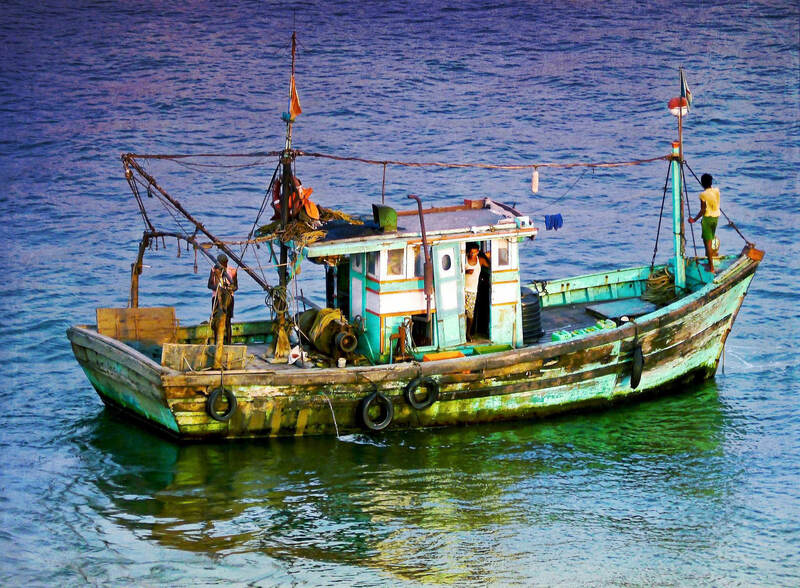 Goa is popular for boat fishing or yacht fishing. 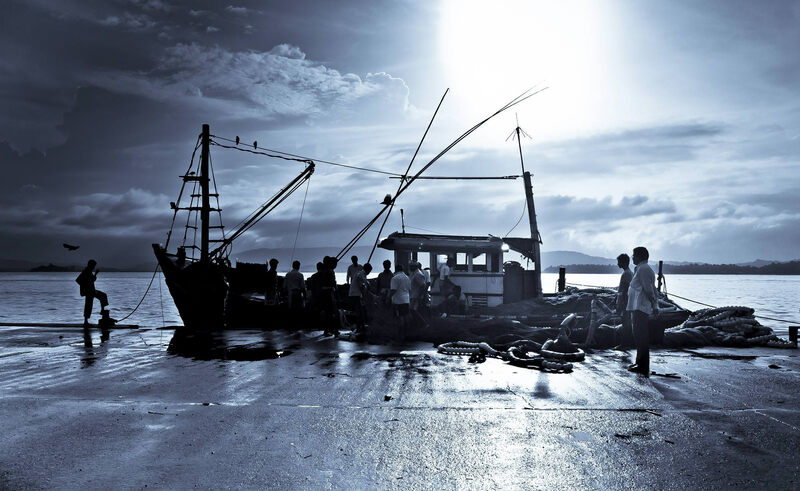 You’ll see plenty of fisherman in the coastal areas throwing and pulling fishing nets in hope of catching giant fishes. Besides local people, tourists are also offered to enjoy sports fishing. Mehndi or bridal henna is an ancient art where henna, a powder extracted from the henna plant, is applied on the bride’s hands, making a paste out of it. 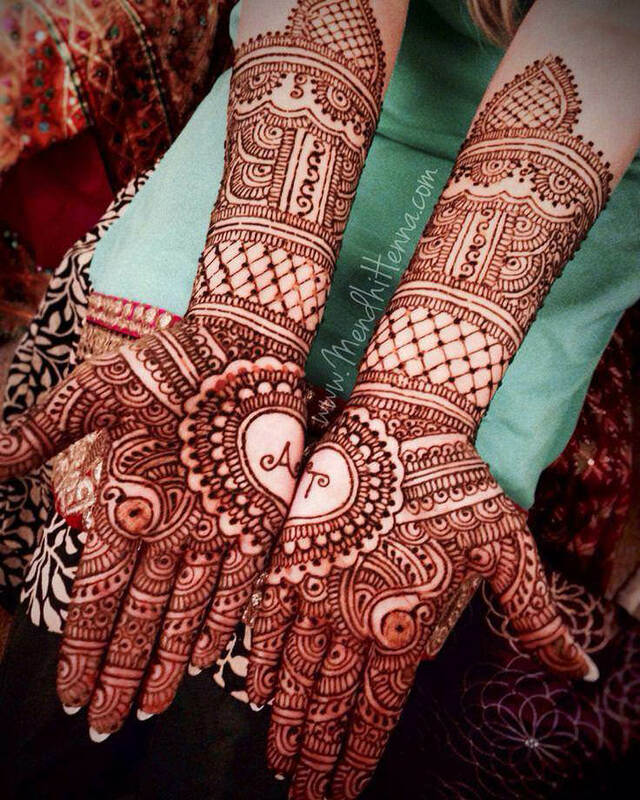 Mehndi is specifically applied during weddings, and it’s a common part of Indian weddings. 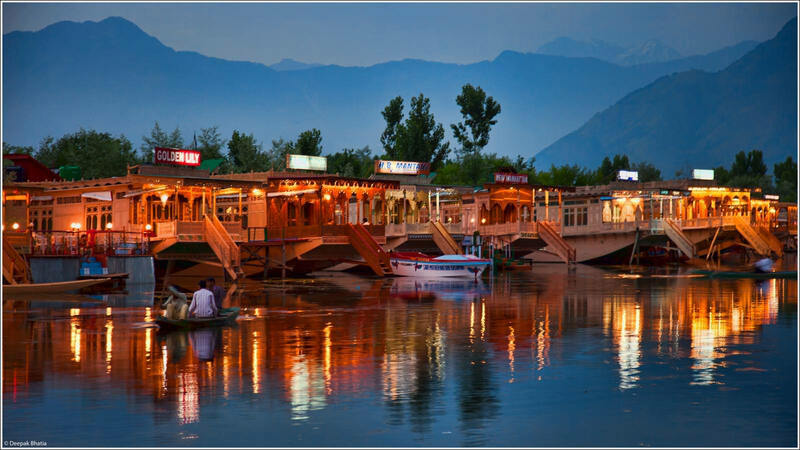 The houseboats in Dal Lake, in the beautiful city Srinagar of Jammu and Kashmir state, is known for their unique beauty and eco-friendly design. Each houseboat has 2-4 rooms with attached bathroom, and they’re fully furnished. 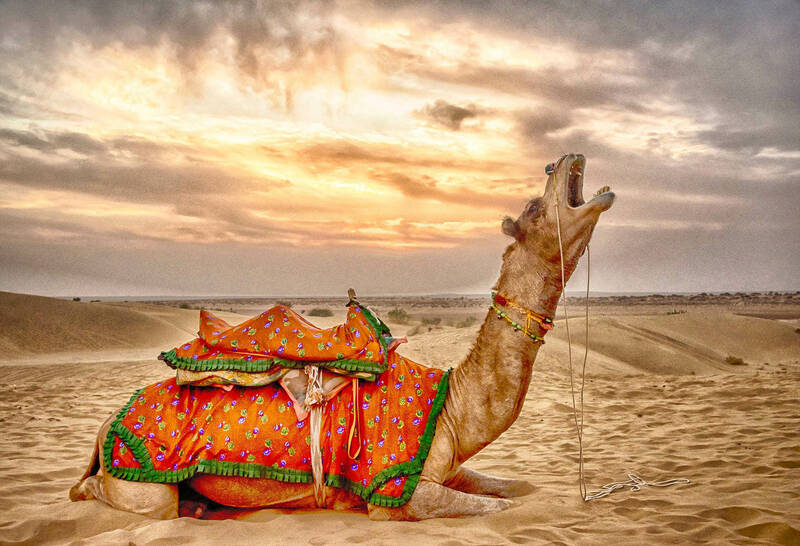 The camel has been used by man from over thousand years since they’ve the ability to walk over long distances in the sandy deserts. They can live without water and vegetation for months and hence, they’re called the ‘Ship of the desert’. 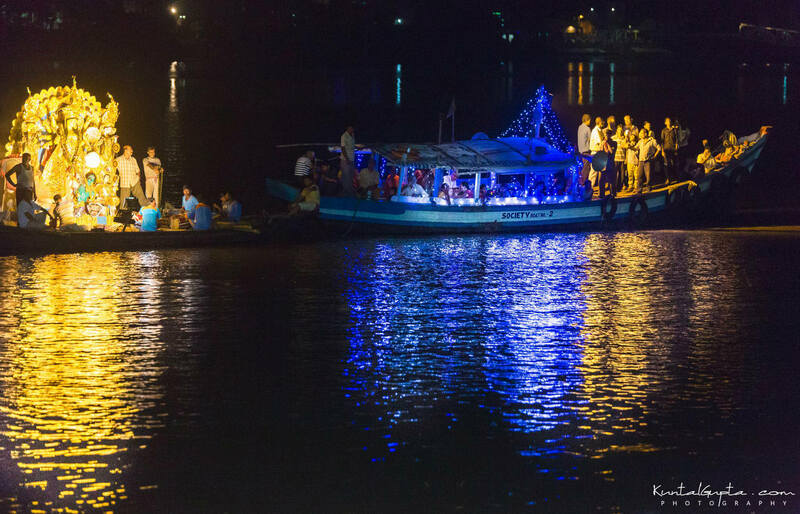 If you ever visit Varanasi city of Uttar Pradesh state, you’ll often get sights of people offering prayers or boating at the ghats (banks) of the Ganges river. 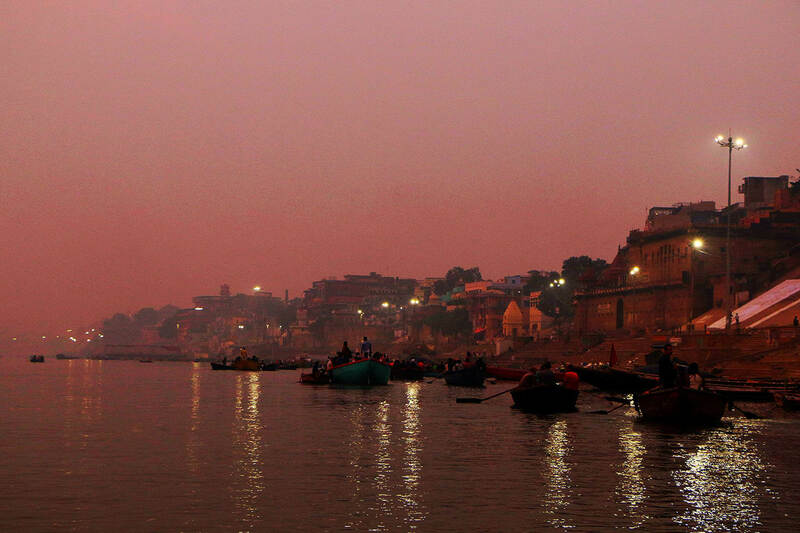 The ghats are believed to transmit the spiritual vibes, and hence, people usually go over there. 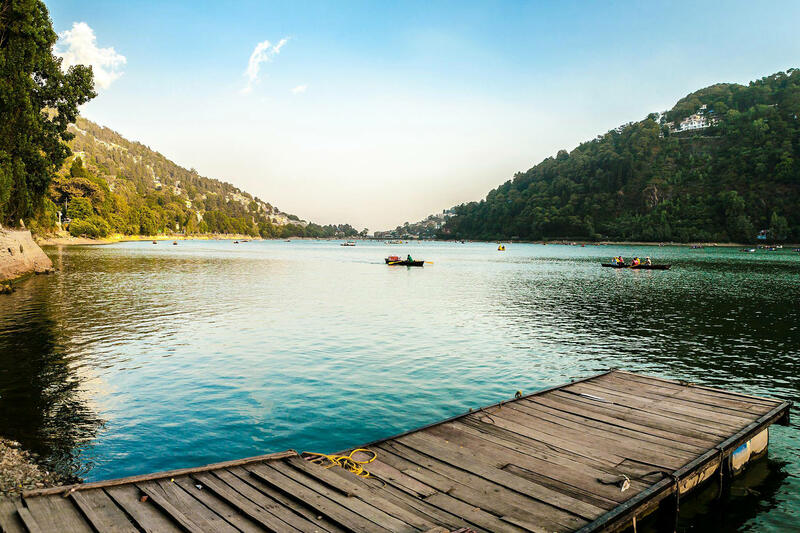 The Naini Lake, in Nainital town of Uttarakhand state, is located in the centre of the town. It’s surrounded by several small lakes in the nearby areas. 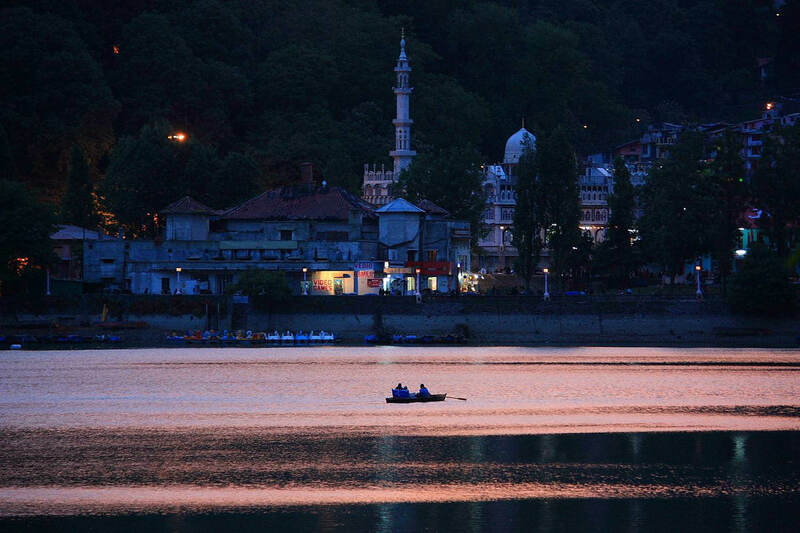 Thanks to this lake and its vibrant surroundings, Nainital is a beautiful tourist attraction. Kashmir (in Jammu & Kashmir) is referred to as the ‘Paradise on the Earth’ due to its hypnotizing beauty and natural surroundings. It’s a popular tourist destination, and is mostly famous among people going on adventure and honeymoon trips. India is also known for its infrastructural excellence and you’ll find the most amazing bridges here like the Howrah Bridge, Narmada Setu, and lot more. 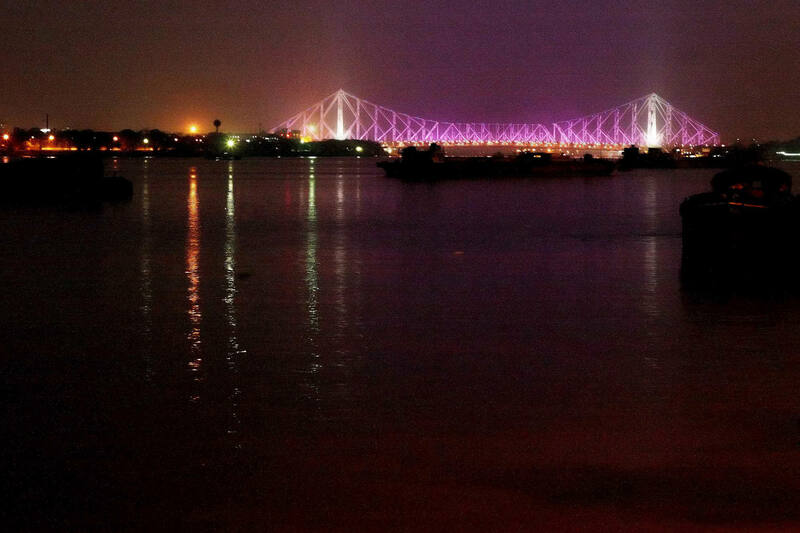 Howrah Bridge is built with a suspended span over the Hooghly River in Kolkata, West Bengal. Peacock is called the ‘National Bird’ of India because of the beauty it embodies its core quality and values. 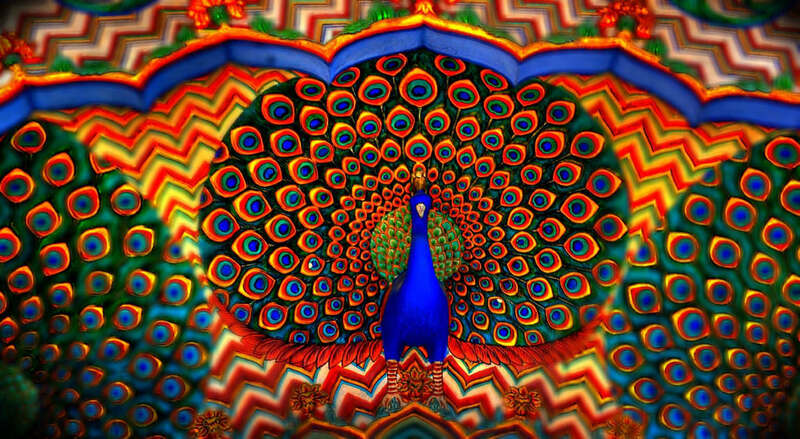 Peacock is vividly colorful representing the rich, colorful culture and heritage of India. It’s found in various states throughout India. Hindu marriages in India comprise of numerous events and ceremonies. 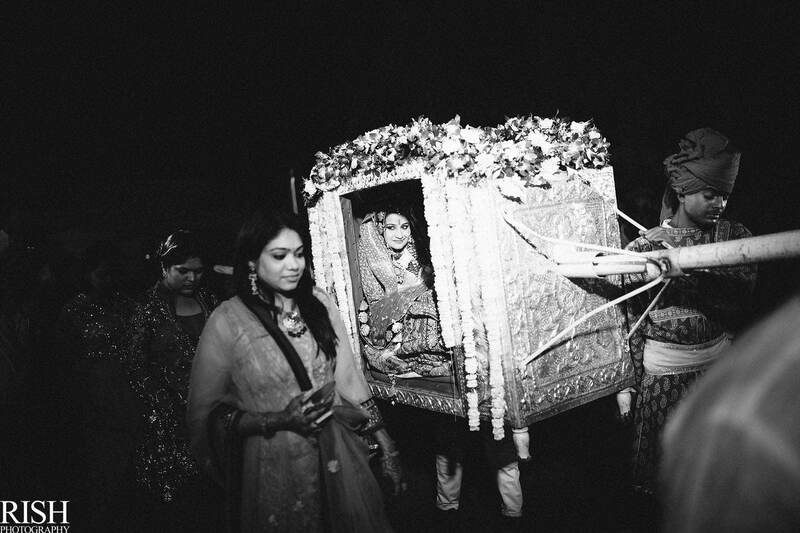 Among which is an event wherein the bride comes sitting in a palki (a traditional palanquin, royal method of travel) to the ceremonial place where the wedding is to be held. 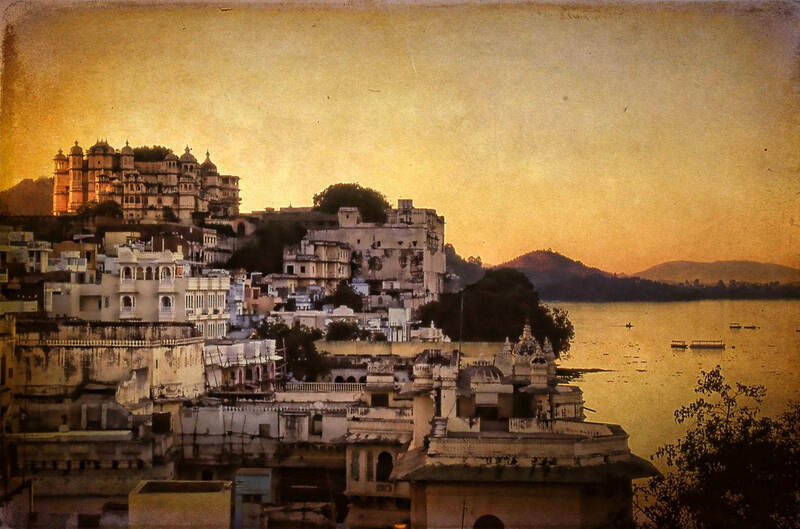 Bansi Ghat in Udaipur, also known as the ‘City Palace of Udaipur’ is a palace built on the side of Pichola Lake, from where, boats ply to other parts of the Lake. It was build in almost 400 years by different rulers of the Mewar dynasty. India is a growing country which have thousands of villages in every state including Uttar Pradesh and Rajasthan. The country’s major part of economy runs on food and cattle farming, which is done mostly by small farmers living in villages around the country. 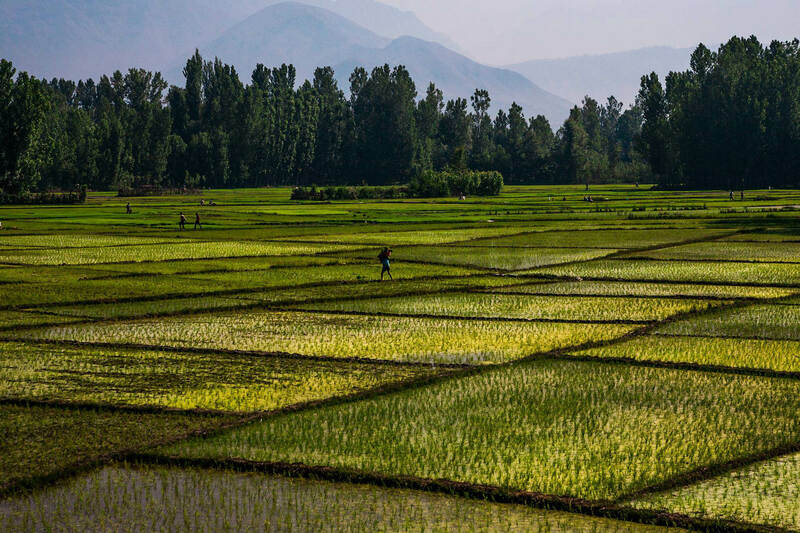 India relies on food farming for most part of its economy. 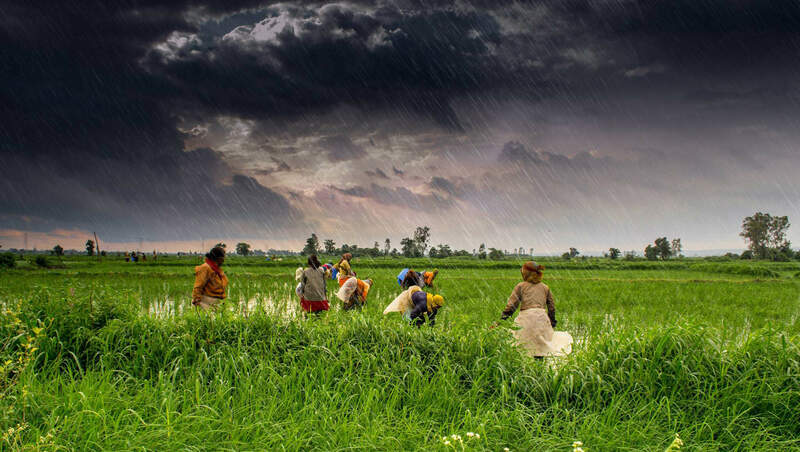 This farming is done mostly by small farmers, living in various parts of the country, and growing crops like Rice, Wheat, Cotton, Mustard, and many more. Bylakuppe Buddhist Golden Temple is a Buddhist temple in Karnataka which is home to numerous Tibetan settlements. 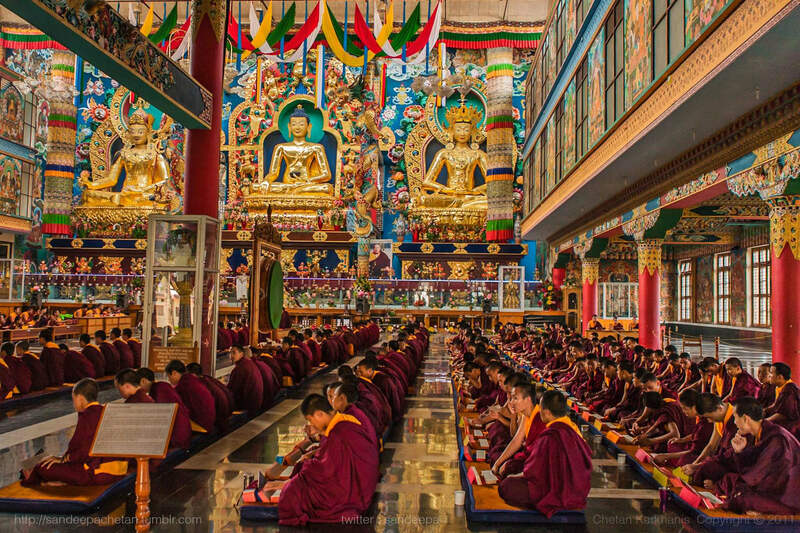 The temple is the largest teaching place of the Nyingma ancestry of Tibetan Buddhism in the whole world. 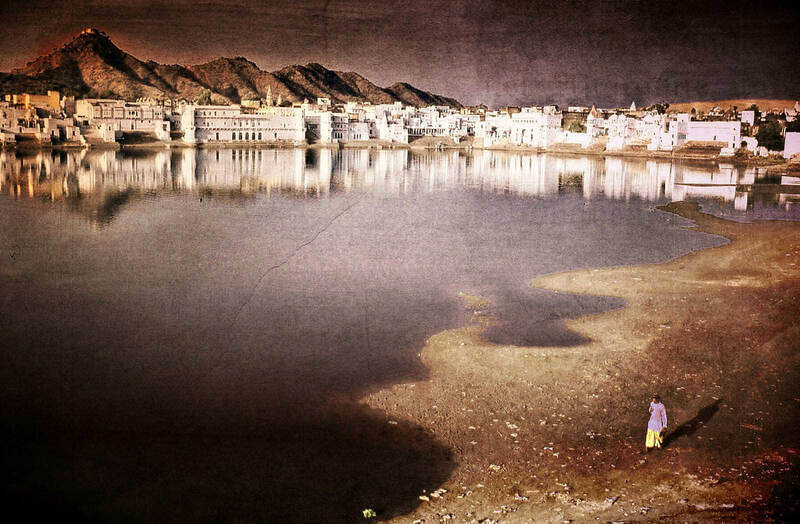 The holy lake of Pushkar is located in Ajmer district of Rajasthan and is surrounded by various ghats. The lake is believed to be a sacred lake for Hindus and is related to the mythology of Brahma (the creator God) per the sacred books of Hinduism. 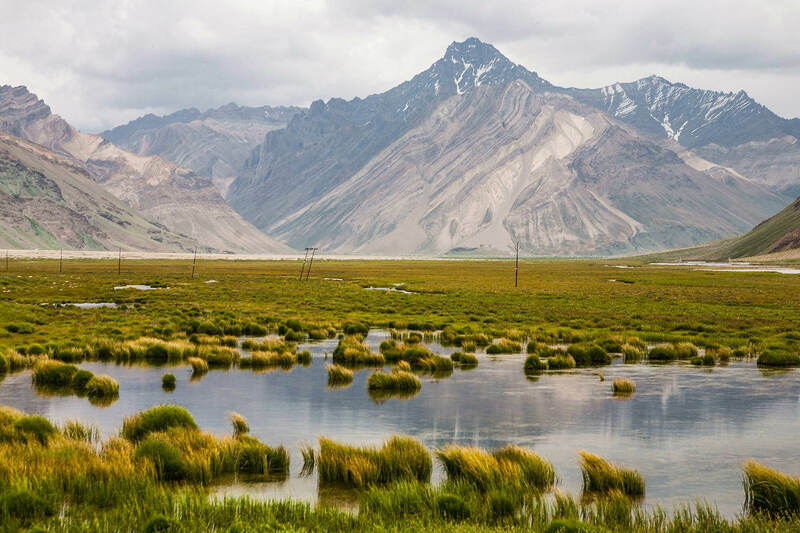 The Suru valley is situated in Kargil town of Ladakh region of Jammu & Kashmir. 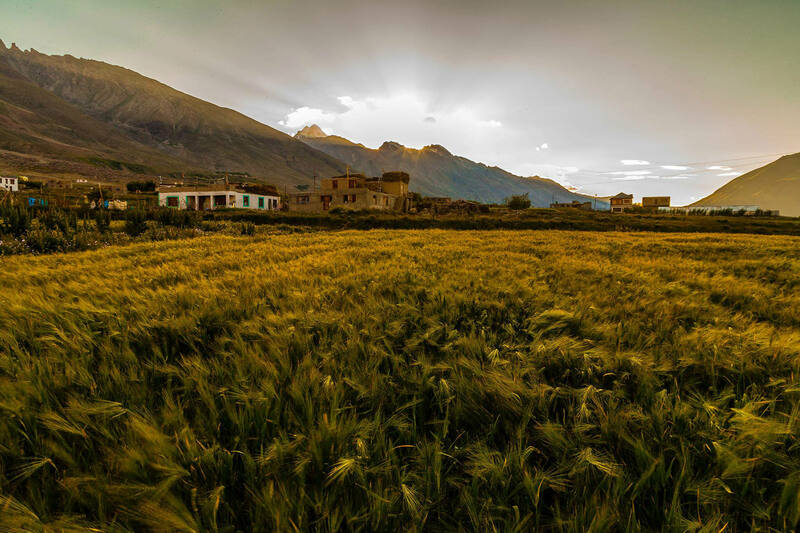 The valley resides at 3,000 m and more above the sea level and is one of the most productive parts of the state, wherein farmers grow at least two crops a year. India is a land of farmers. Most of its farming population lives in villages around the country and grows crops like Rice and Wheat for living. 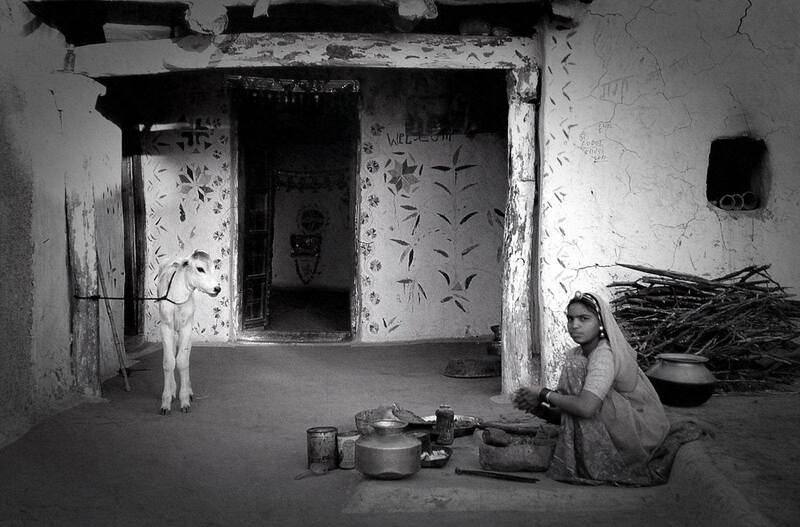 Many such poor farmers live in houses made of mud and wood, and cook food on desi stove by burning wood. 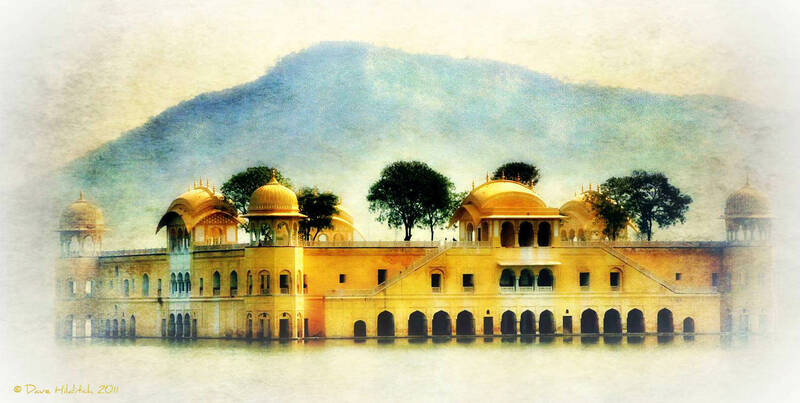 Jal Mahal, meaning ‘Water Palace’, is a palace situated in the center of Man Sagar Lake of Rajasthan. The palace’s architecture boasts of a typical Rajput and Mughal style, has light sand colored walls, and was used to be a shooting lodge for Maharajas. Hedbandar Beach is located in Kumta of Uttara Kannada district. It is a nice tourist attraction, from where anyone can enjoy the beauty of the Arabian Sea. 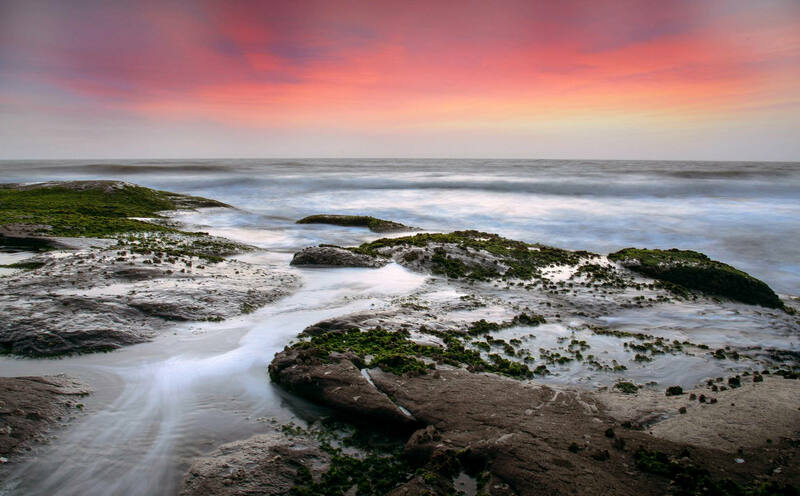 The beach is known for its fascinating sunset view in the pristine seashore. 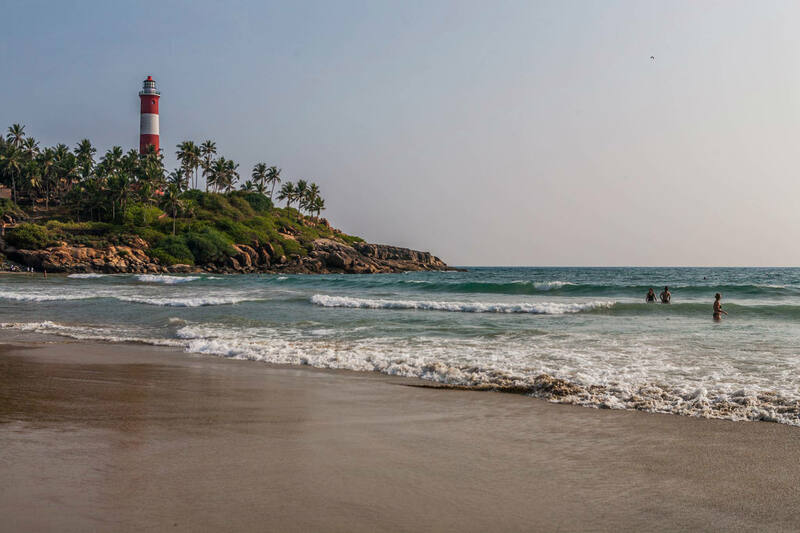 Kovalam Beach, an internationally renowned beach, is located near Thiruvananthapuram. It has a beautiful bay of calm waters, which is formed due to a large rocky promontory. There are various leisure as well as tourism options on this beach. 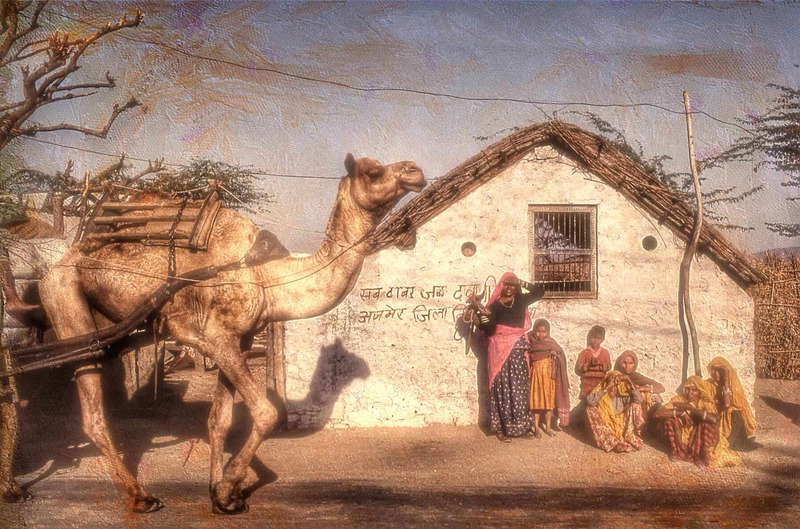 India’s most population lives in rural areas including that of the Thar Desert. Such people mostly live in cemented or mud-made houses. And camel being the mode of transport, these people travel or transport goods in camel carts. Sanasar is a hill station in Jammu town of Jammu & Kashmir. 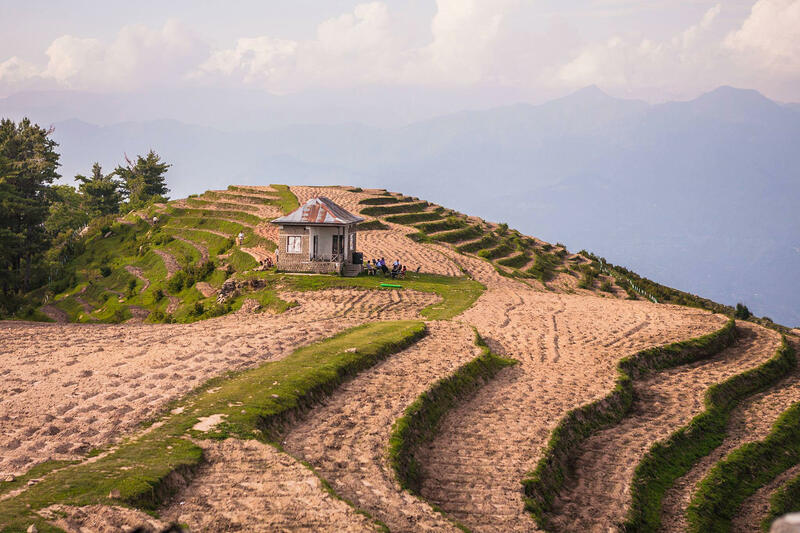 It’s one of the biggest villages in the district that spans an entire mountain side, wherein people practice terrace farming during summers, and during winters, it gets covered full in snow. 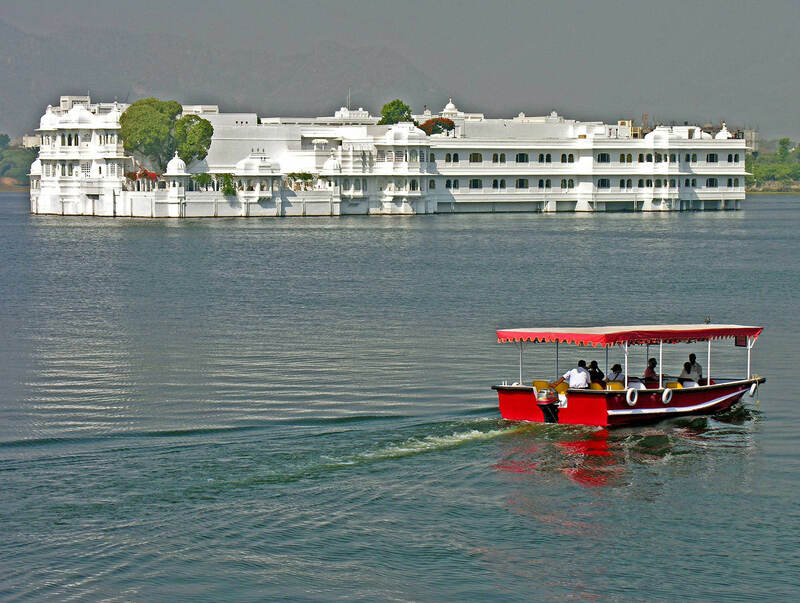 The Taj Lake Palace is a heritage hotel which is said to be one of the most romantic hotels in the world. The palace was built as a pleasure palace by Maharana Jagat Singh II, and had also been featured in various movies and TV shows. Thiksey Monastery is a Buddhist monastery affiliated with the Gelug sect of Tibetan Buddhism. As it is located on the top of a hill, the view from the monastery is extraordinary and shows the complete region in its natural beauty. Naini Lake, situated in the Nainital town, is one of the popular tourist attractions in the North India. And boating is considered one of the most relaxing experiences in the region, which offers picturesque view with amazing surroundings. 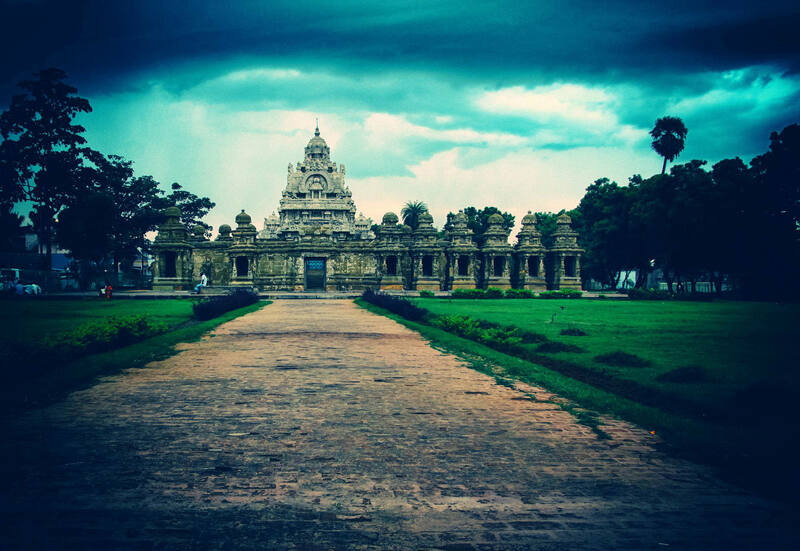 Kailasanathar temple is the oldest historical structure in the Kanchipuram district. 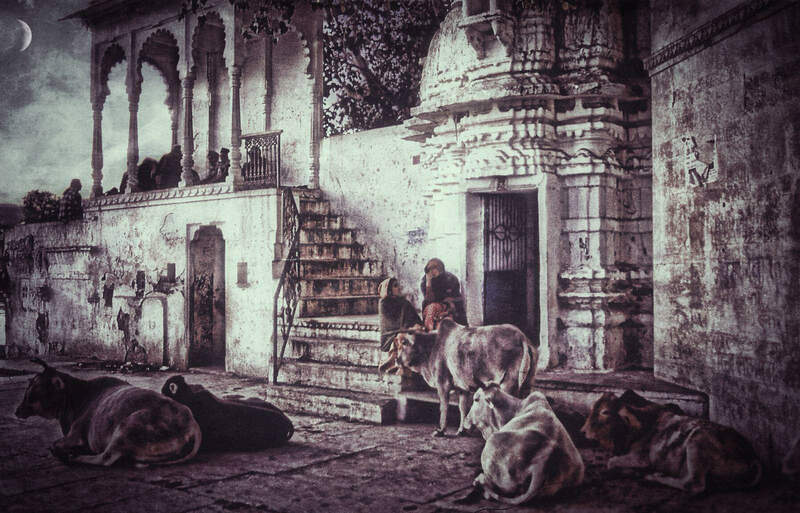 It is a Hindu temple that is dedicated to the Lord Shiva (the destroyer God). The temple is known for its detailed stone carvings, numerous shrines, and pyramidal tower. 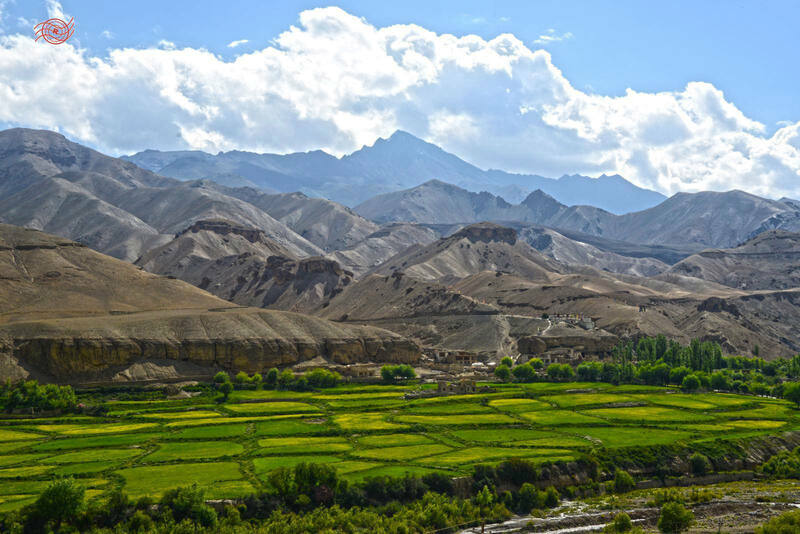 Zanskar valley is a far far valley near Kargil in Jammu & Kashmir. This valley is known for its beautiful landscapes during the summer season, and during winters, the valley is covered in snow, making it inaccessible from rest parts of the state. The Amer Fort in Jaipur district of Rajasthan is a known historical place. Located high on a hill, the fort was declared as a ‘UNESCO World Heritage Site‘, was built during 16th century, and hosts beautiful rooms, jewel-decorated mirror palace, etc. 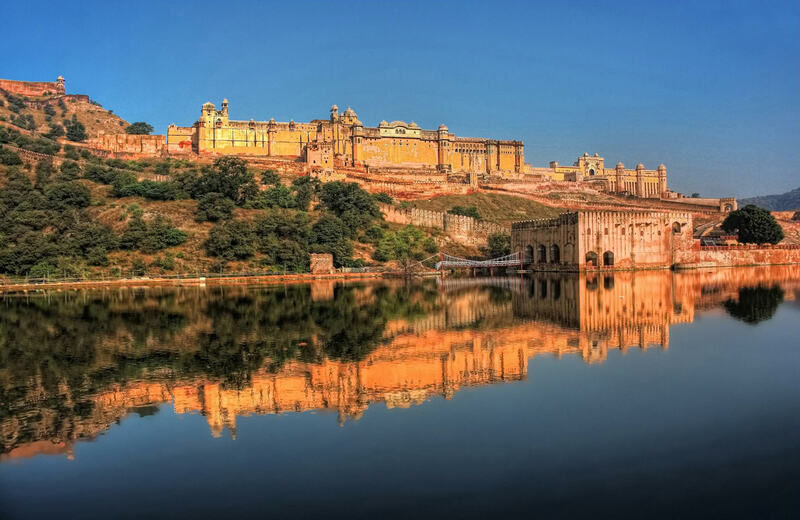 The Amer Fort, known for its history and heritage, hosts attractive places including a temple and various parks. 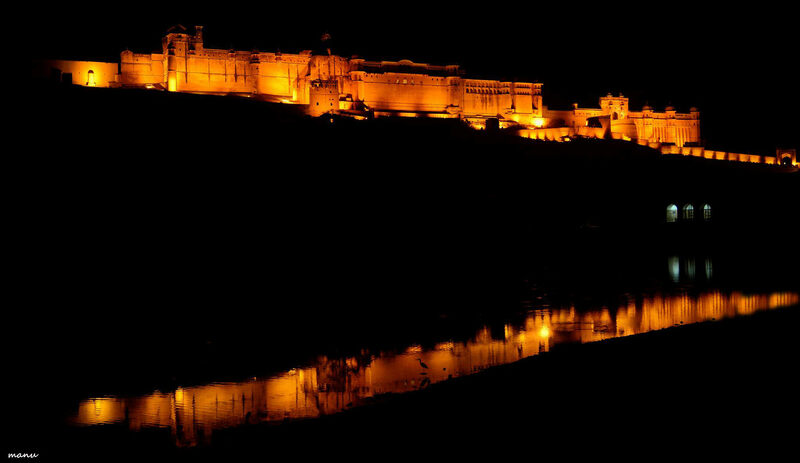 In the night, the fort is lit by yellow bulbs placed everywhere in the palace, which is assisted by moonlight, making it look marvelous under the sky. The Himalayas is the highest mountain range in Asia that separates the Indian subcontinent from the Tibetan Plateau. 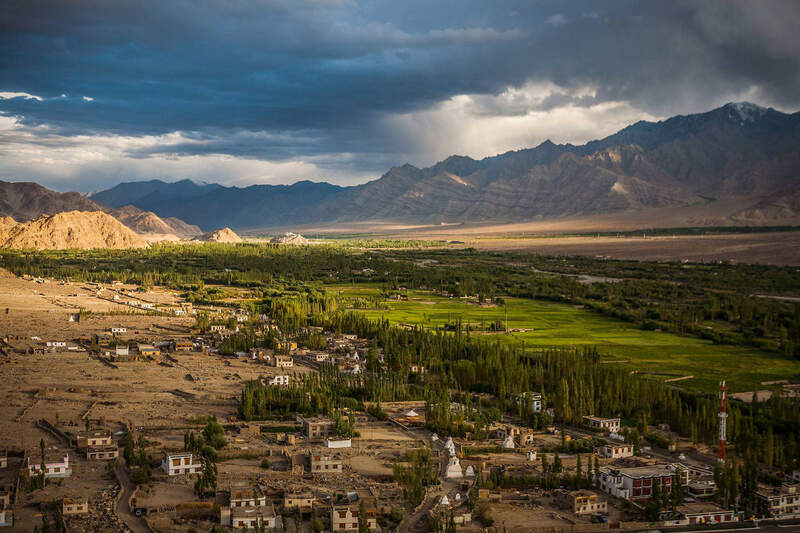 The range has many high peaks and is rightfully called ‘the roof of the world’. Jamonia Johar is a village in Rajgarh district of Madhya Pradesh. The village is lived by hundreds of farmer families, who grow crops for their living. 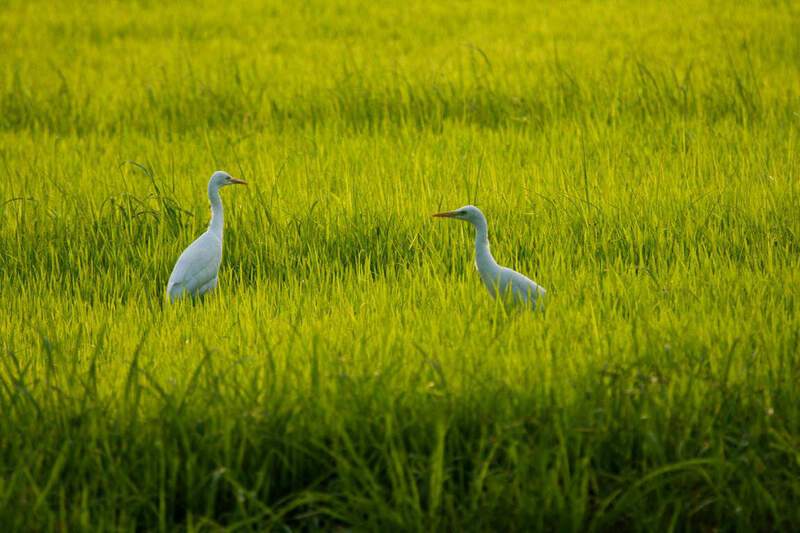 For example, in the summer time, during the rains, they grow Rice — a main crop of the region. 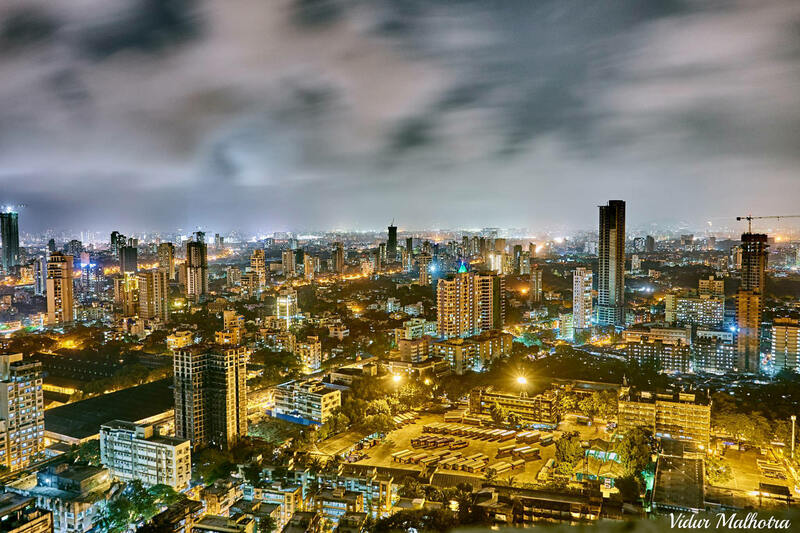 Dadar is a heavily populated midtown area of Mumbai — India’s largest city in terms of its population. The area hosts numerous tourist spots such as Shree Siddhivinayak Ganpati Temple, Shivaji Park, Mahim Beach, Nehru Planetarium, etc. Harihareshwar Beach is located in Raigad district of Maharashtra. It is a popular beach resort and a tourist destination for people wishing to enjoy the beauty of the Arabian Sea. And as with some other beaches, its sunset view is amazing. 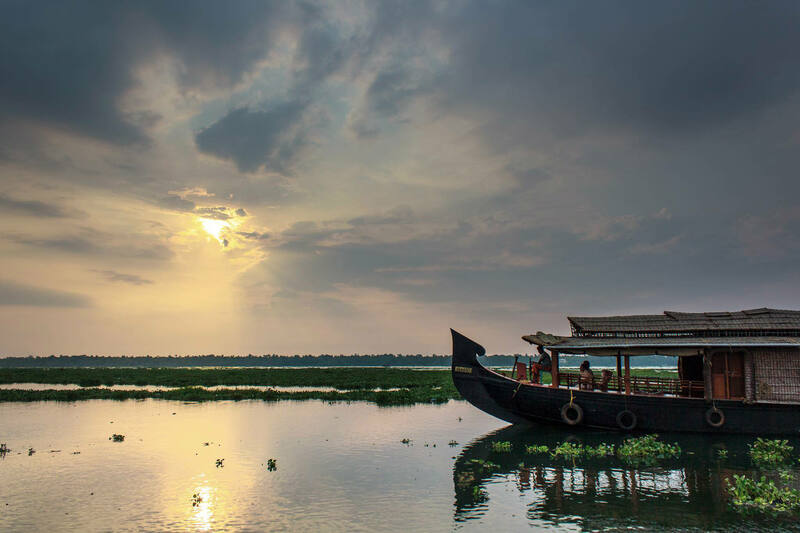 Kerala backwaters is a network of interconnected canals, rivers, inlets, and lakes situated in parallel to the Arabian Sea. The network includes five large lakes, whose water are fed by third-eight rivers, and is said to be home to tourists and fishermen. Aliyar Reservoir is situated near Valparai town in Tamil Nadu. The dam, a large water reservoir of 2.5 sq. 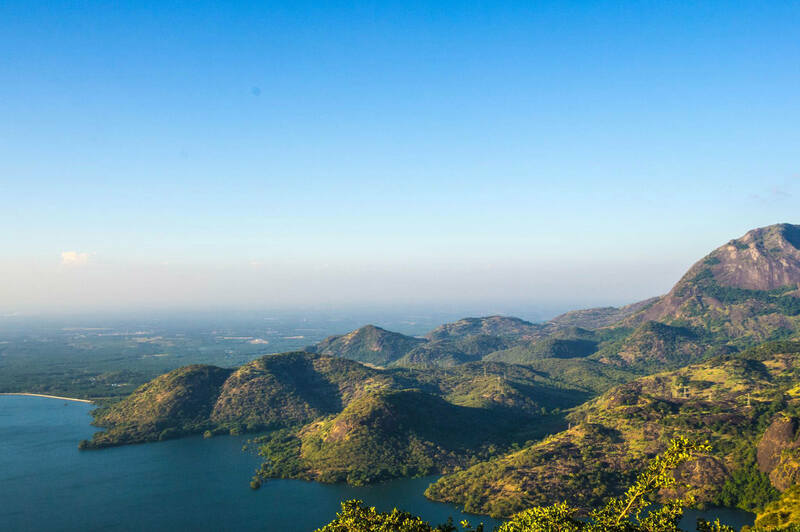 mile, is located on the foothills of the Valparai. The dam offers tourist getaways including a park, garden, aquarium, and a mini theme park. Bird Sanctuary in Vedanthangal is a large, 30-hectare sanctuary in Kancheepuram district of Tamil Nadu. It is a place to 40k+ birds including various rare species and migratory birds which fly to this sanctuary from numerous parts of the world. I like almost all of the above photos, which were chosen from thousands of photos across the web. All images in this post are licensed under Creative Commons, but please do use any pic only after confirming its license, especially if you’re going to use it commercially. Which is your favorite pic among all these photos? Please tell me by writing a comment below or writing to me directly at @aksinghnet on Twitter.